It’s going to be an epic year. Let’s go over the release schedule, shall we? January 24th – the 2nd in the Billionaire Builder series takes off in Any Time, Any Place and a January Top Pick from Ibooks! Oh, this was one of my all time faves to write. I know you will DEVOUR this book, because Dalton is so scorching, he almost blew up my computer. It’s funny, and emotional, HOT and up for preorder! Speaking of which…. I’m having an AMAZING pre-order contest that goes LIVE on January 19th so make sure you pop onto my website or Facebook page and enter. You will love the prizes available! March 31st – Write Naked – my first nonfiction book for romance and women’s fiction authors. Honestly, though, I think any writer can relate to this book. I share secrets and break down craft, the ups and downs of career, success, and our sometimes cranky, mostly wonderful Muse. It’s up for preorder at Amazon and it’s being released from Writer’s Digest Books so you know it’s good. 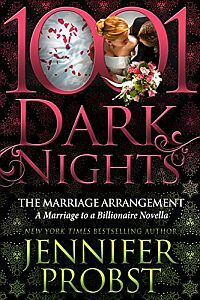 May 30th – the third installment in the Billionaire Builders – Somehow, Some Way from 1001 Dark Nights! And this time we get Brady the architect matched with a sassy, smart-mouthed rehab addict you will adore. July 25th – The final, long awaited installment All or Nothing at All. This book almost killed me, but it’s my swan song. Everything I ever wanted to write in this one book and Tristan and Sydney broke my heart and put it back together again. I hope you guys love it. AND REMEMBER ALL MY SERIES ARE WRITTEN AS COMPLETE STAND ALONES! YOU CAN JUMP IN AT ANY TIME AND NOT BE LOST! Now, on to my surprises. What will it be? A new series? A new standalone? A holiday story? A prequel? Sequel? Well…I’m not telling yet. It’s super secret and you’ll love it, and I promise more details later on but I’ve given you plenty to read for the first half of the year! In the meantime, please join my street team, The Probst Posse, where we hang out, laugh, share secrets, and talk about my books. I’ll be doing a ton of giveaways and special perks for preordering all my books. I love reader interaction so comment on my page, email me, send a messenger pigeon, anything at all and I answer back. Now I’ve gotta dash back into the cave and get some more words written!